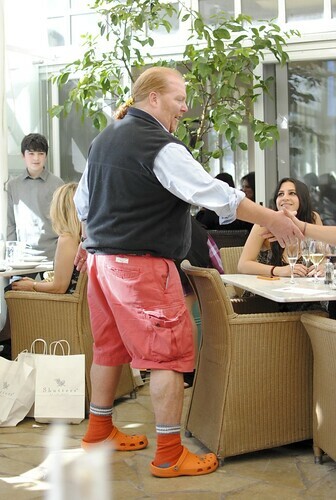 Mario Batali needs no introduction. As one of the most famous chefs in the country, I’m sure he draws crowds whenever he’s doing a food event. 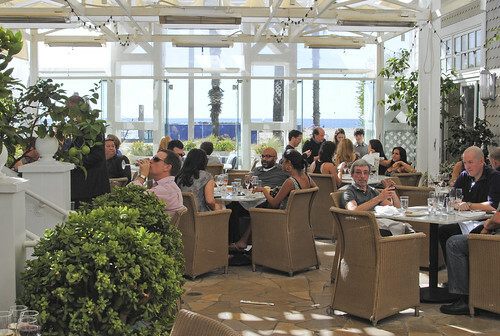 When I heard he would be hosting a lunch in Coast Restaurant at Shutters on the Beach, my interest was piqued. When I heard it would be three courses (with wine pairing) for a seemingly-reasonable $65 per head, I jumped at the chance. Batali was in town promoting his cookbook and this was one of his stops. 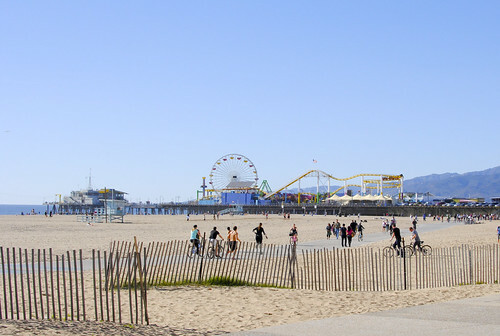 The lunch was held at Coast Restaurant within Shutters on the Beach, a beachfront hotel in Santa Monica. It was a really nice day, and the window-covered restaurant maximized this to great effect. We dined on the sunlight patio, literally beach-side. Perfect! 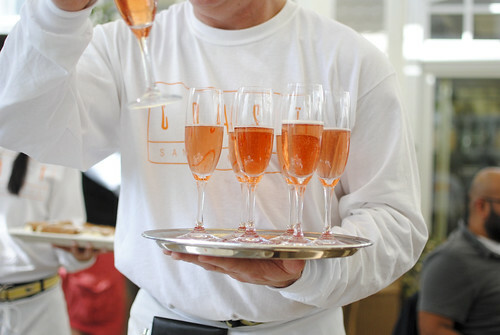 Before the first plate was served, some appetizers made their rounds in the dining area. There were actually 5 different ones to choose from, but only 3 made it to our table (we didn’t get the white bean alla toscana or arancini with bolognese). Boo. 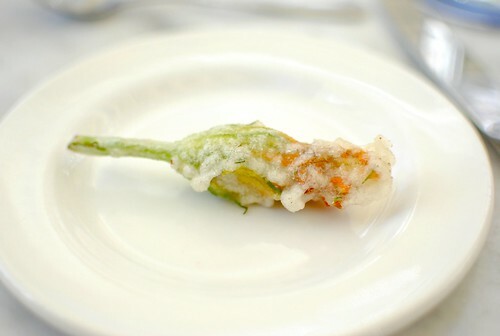 The fried squash blossoms were very familiar from trips to Pizzeria Mozza, and were just what I expected. Fried just right, they were light, crispy and creamy. 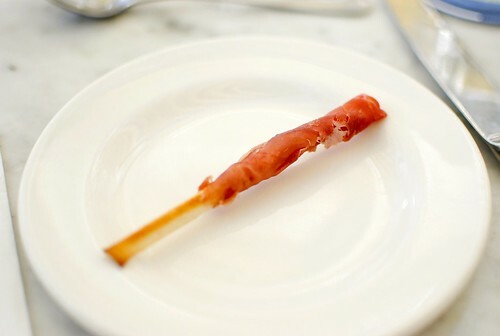 The breadsticks were nice too, with the meaty proscuitto working in tandem with the crunchy breadstick. 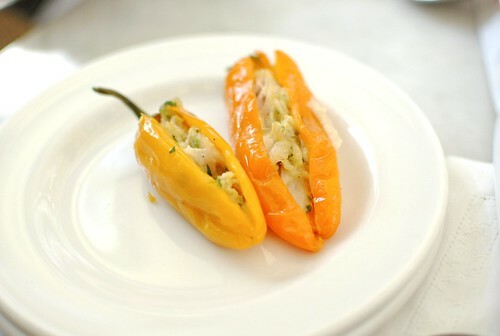 Finally, the pepper stuffed with tuna was perhaps the most interesting of all – the sweetness of the roasted pepper was a nice complement to the meaty tuna. 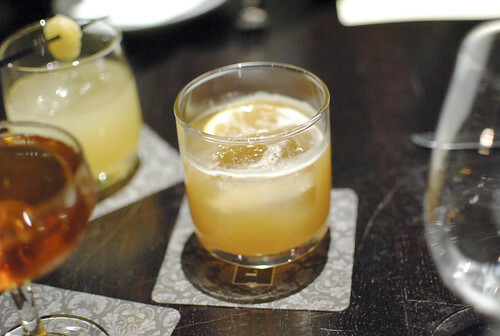 As the appetizers made their way around, so did the drinks. 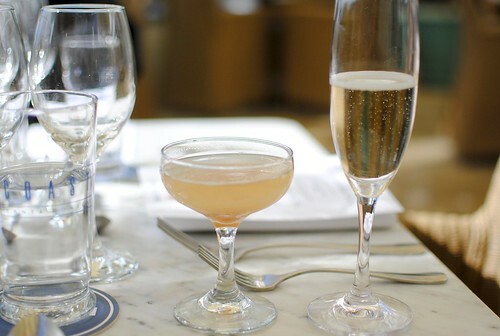 Prosecco and bellinis found their way onto our table time and time (and time and time) again. Patio seating on a nice day? Check. 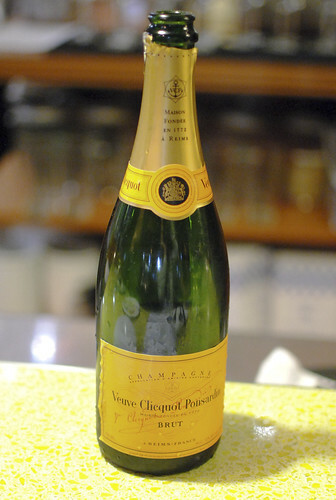 Nonstop sparkling wine? Check. We had the ingredients for quite an afternoon. After about half an hour of passed appetizers, we were served the first course. 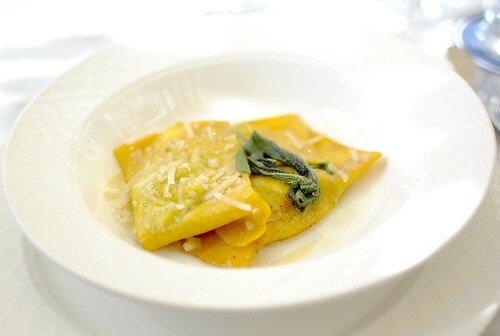 Al dente pasta was filled with a creamy potato and ricotta filling, bathed in a sage butter sauce. I’m a sucker for fresh pasta, and these ravioli didn’t disappoint. The plating was surprisingly inconsistent though, with one person getting only two ravioli (while the others got three), as well as the sage garnish missing on one plate. 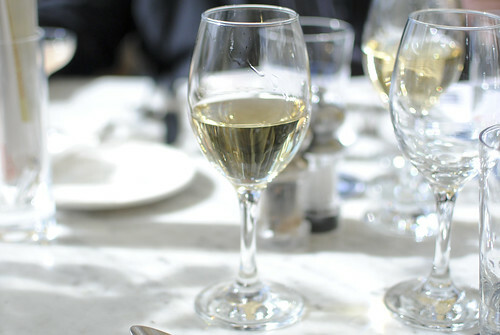 Next we were served the main course with a side dish, as well as a duo of wine pairings. The chicken was braised then seared, giving the skin a bit of crispiness. I thought the thighs were perfectly cooked, tender and fairly juicy; however, the sauce of red onion and red wine didn’t have a lot of flavor. It was topped with fried diced pancetta (!) 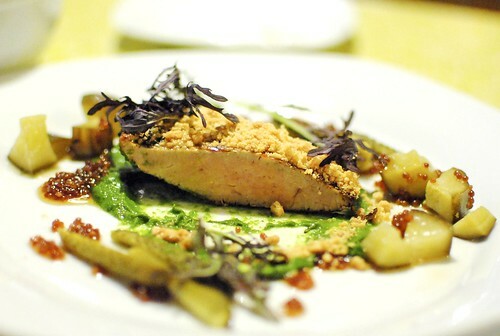 which added a slightly pork flavor with a delightful crunch. 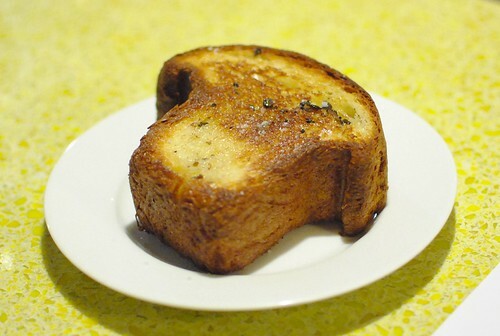 Some crusty bread was placed on the bottom to soak up any juices/sauce, but I didn’t think it was necessary. 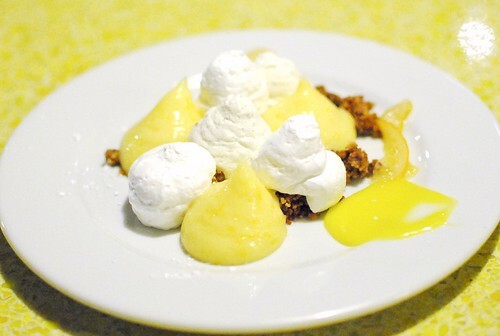 Finally, the squash side was a nice touch – it was sweet and sort of creamy, complemented by a creamy cheese. I liked that there was a duo of wines to pair, one red and one white; while very different, they both paired with the chicken pretty well. 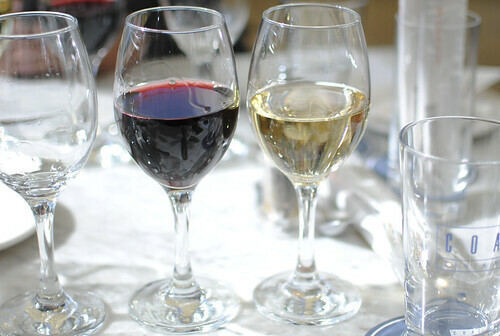 I enjoyed both but preferred the red. Lastly, we were served dessert. 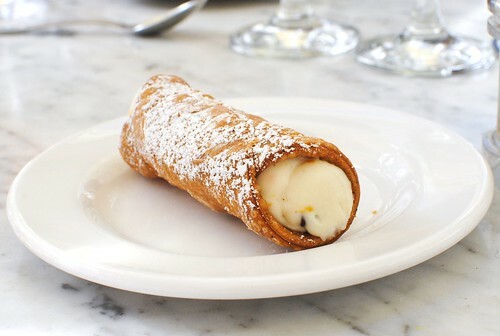 The cannoli came out about as expected, with its light, orange-accented cream and crispy shell. Simple and satisfying. 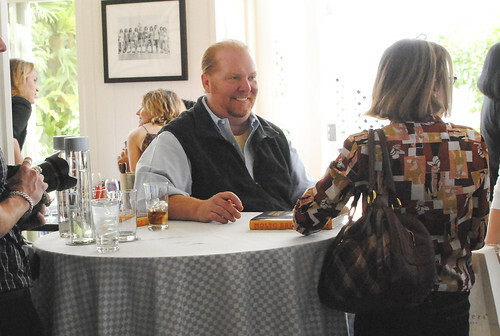 Batali was in the restaurant the whole time, spending most of it mingling with guests. He made it a point to visit each table for a brief chat, and stayed after the meal to sign anything and everything people brought. The lunch exceeded expectations and was a lot of fun. 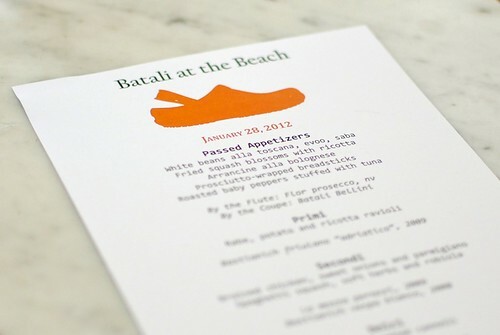 The food was good and the alcohol plentiful, however the interaction with Batali is what made this meal memorable. 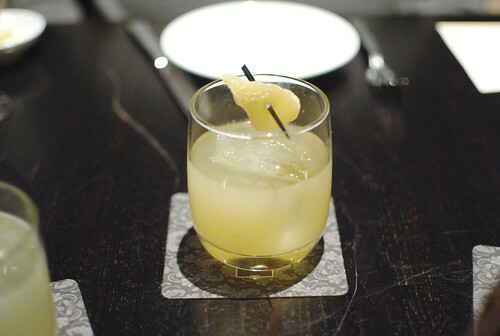 It was a pretty unique experience, and I thought the $65 was very reasonable given everything we ate/drank (as well as the Batali factor). 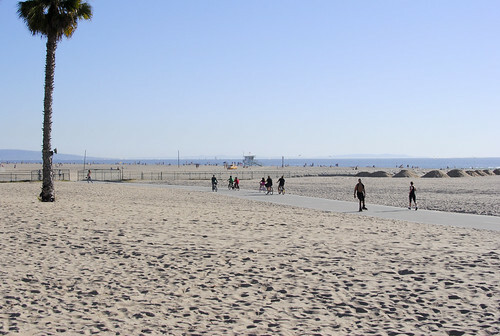 I couldn’t think of a better way to spend a winter day in SoCal. I first tried Tsujita over the Veteran’s Day holiday. Trying to fit two lunch spots into one larger meal, Tsujita happened to fall into the second slot where a humongous line awaited us. Sadly, the tsukemen (dipping ramen) ran out while we waited in line, and we were left with the good-but-not-great ramen. 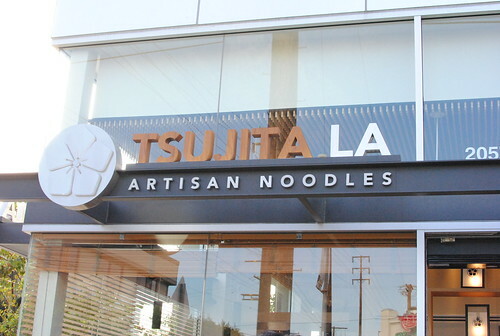 I knew I’d have to return to really try Tsujita. 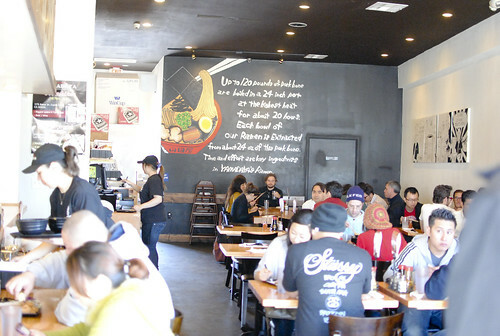 Over the MLK holiday we again went for a two-spot luncher, with Tsujita first this time. We arrived at 11am (opening) to ensure we would not be denied. Perfect timing! We got in without any problems. Three tsukemen options are available – “regular,” one with extra seasoned boiled egg (ajitama tsukemen) and one with extra chashu (chashu tsukemen). Coincidentally, we all ordered the same thing – the chashu. 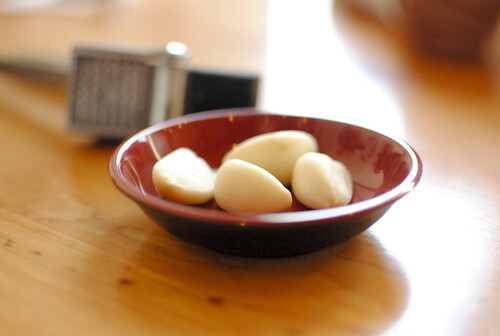 A few accompaniments awaited us at the table – in my opinion, I didn’t think they were even necessary. I marveled at the bowl that came out – noodles were topped with thick-cut chashu, a piece of nori and a lime wedge. 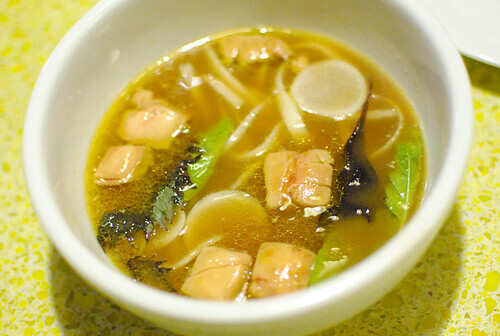 Accompanying the noodles was a dark and murky broth, filled with a soft-boiled egg, pieces of chashu and a not-so-hidden layer of fat floating on the top. I had my first bite and was sold immediately. The noodles were thicker than usual with a wonderful chew, while the broth displayed a heady, rich porky and bonito flavor. It was well-balanced between the pork and fish, and I’m sure the fat helped made for an incredibly savory and comforting slurp that screamed umami. Apparently, pork bones are simmered for 60 hours with the bonito added at the end. The chashu was wonderful as well, thick and meaty – they just melted when heated by the hot broth (it should be eaten quickly since the fat will congeal if sitting out too long and the broth won’t be hot enough to melt it). Simply addicting. The soup thickened and got richer over time as the noodles soaked up the liquid. By the time the noodles were gone, it was pretty much a gravy at that point. The lime was particularly clutch when it reached this consistency, helping to add a fresh citrus dimension as well as some acidity. 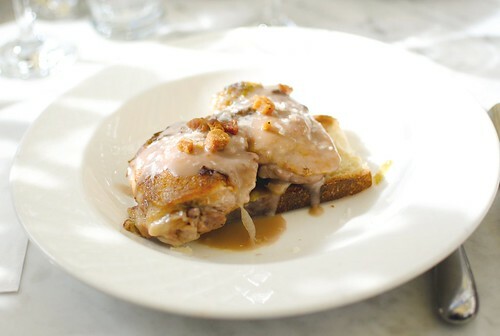 Finally, they’ll add water to your leftover “gravy” for a drinkable soup – it wasn’t quite so much for me, still packing an incredible salty, porky punch. Personally, it needed to be consumed in small quantities per mouthful. After some deliberation, we made the short trip to Ramen Yamadaya. We’d be ordering entirely different things, but we were still somewhat fearful that it would disappoint given what we had at Tsujita. 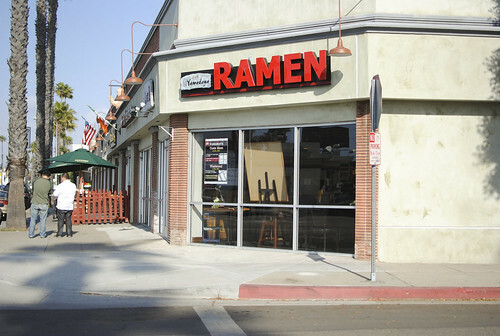 Ramen Yamadaya is a newer ramen restaurant to the SoCal scene, opening its first branch in Torrance in 2010. 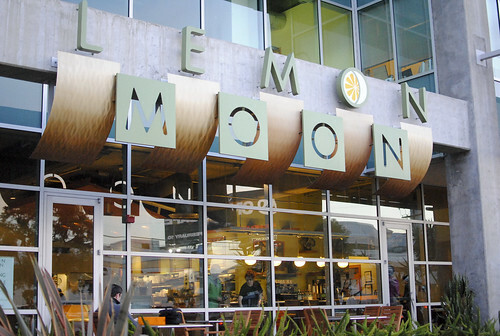 I’ve consistently heard good things about it, and its popularity has helped them already open up additional locations in Culver City, Westwood and Costa Mesa. 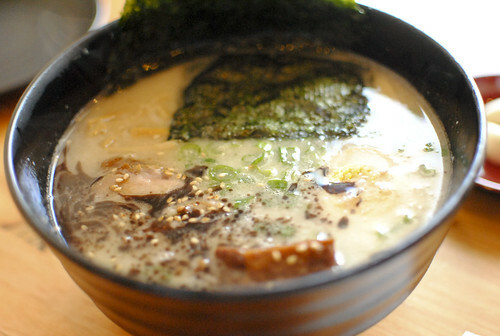 The specialty here is the 20-hour-cooked tonkotsu broth, making for a rich and porky ramen. It was my first time so I opted for the ramen. The rest of the party ordered some different items, less similar to what we previously ate at Tsujita. I tried a small piece of the gyoza and chicken and found them to be rather typical variations. 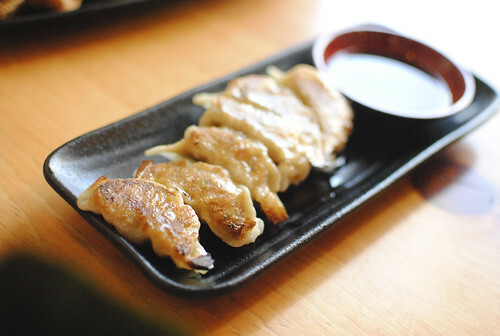 I wanted slightly more meat and less cabbage flavor in the gyoza, and I thought they could’ve been crispier too. However, the star for me was the ramen. 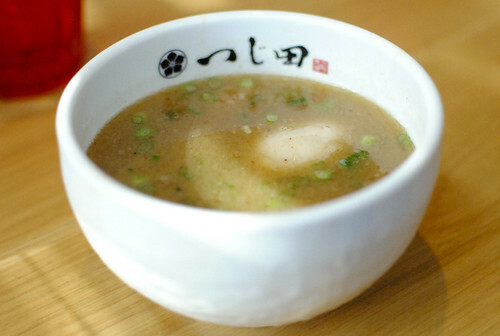 Going for the extra-fatty kotteri option, the broth indeed was rather heavy, milky and fatty. Full of flavor, indeed. 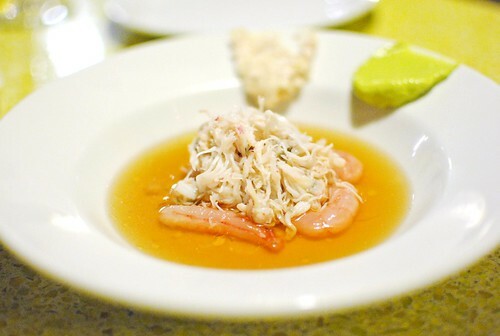 The fresh garlic was an awesome accompaniment, providing a fun garlicky bite to the rich broth. The noodles were perfectly cooked, lending a nice chew and soaking up the flavors of the broth. 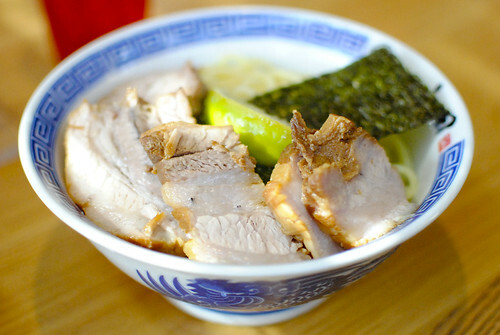 Two kinds of chashu came with it – a leaner, thinner cut shoulder and a thicker, marinated belly cut. I didn’t really like either. The shoulder was a little dry and flavorless, while the belly’s marinade had an overpowering flavor that masked the meat. Still, a very good bowl of ramen. Ramen Yamadaya is good, and is worthy of a return trip on an emptier belly. Still, I’d be hard pressed to come here unless Tsujita is closed or out of tsukemen. I’ve never had tsukemen before and it was a bit of a game changer for me. I can’t say if it was a good example of the dish, but I just found it simply delicious. At this point, I actually prefer it over any of the bowls of more “typical ramen” in LA. There’s an inherent playfulness in dipping the noodles into the soup at-will, and I found myself conflicted between slurping everything up as soon as possible while it was hot, and consciously slowing myself down to savor every bite. I’ll be back for sure. 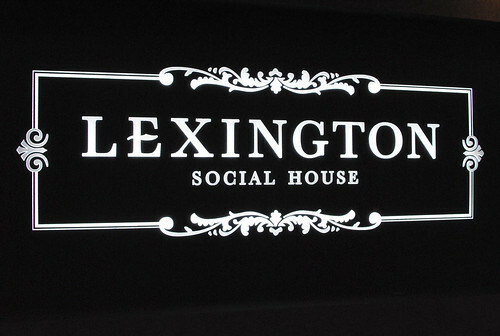 I first took notice of Lexington Social House during last year’s Taste of the Nation, where their fried chicken was one of my favorites of the afternoon. My second encounter with the restaurant was at The Taste where, again, the fried chicken was one of my favorites of the event. 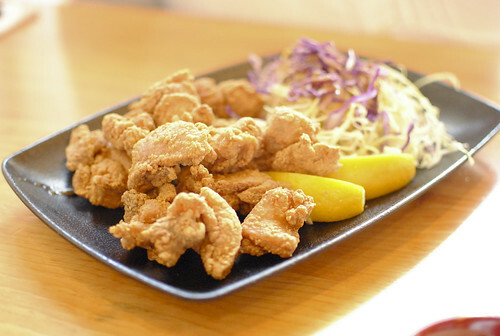 In both instances, white meat was served and it was full of juicy flavor with a crunchy batter. Addicting. 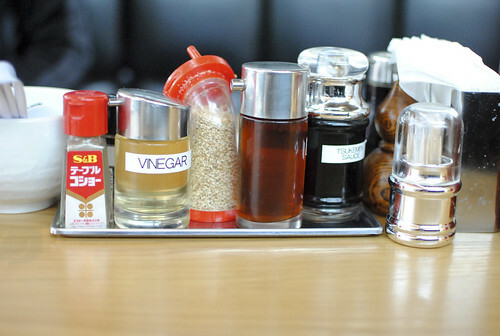 It quickly became a restaurant I wanted to visit. Located at the intersection of Hollywood & Vine, it definitely fits into the lounge/bar “nightlife” category where I always seem to be skeptical of the food. 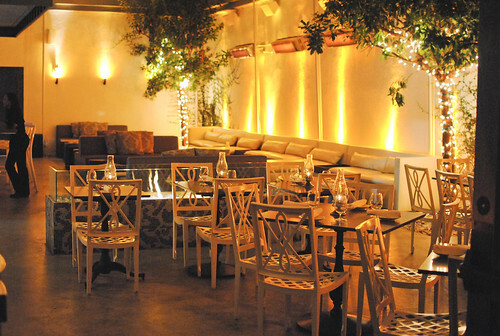 However, who says a trendy Hollywood restaurant can’t also be serious about the food? My skepticism peaked when we were the only ones in the restaurant at 6:30. 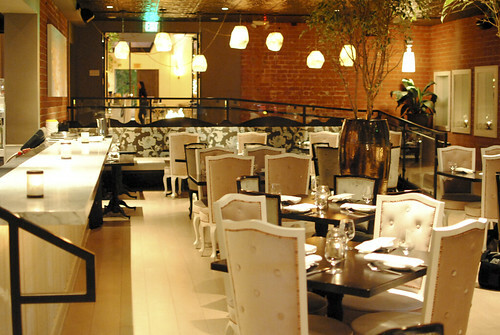 For a restaurant with a sizeable dining room and expansive lounge, I was a bit surprised. “It’s early” we told ourselves; actually, we were one of only two parties in the restaurant throughout the duration of our meal. For shame; the restaurant was better than that. We ordered some cocktails to start. 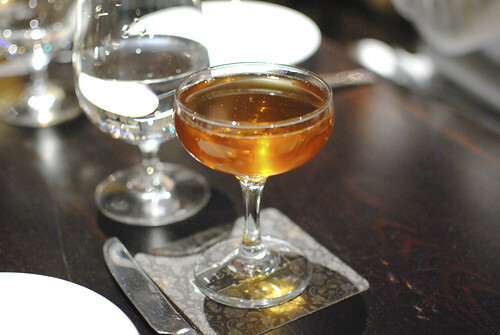 I was just coming down with a cold so I didn’t try anything other than my cocktail – the Maple Hill. Flavors of maple and citrus were the main flavors I got from this one, balancing the bite of the scotch. The salmon was good, albeit a little fishy. 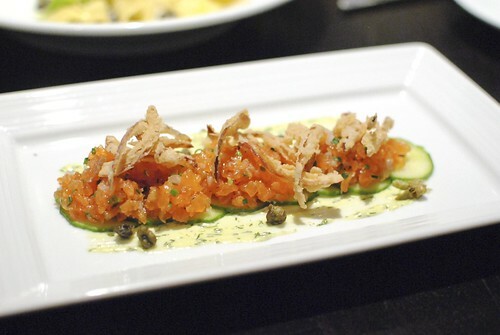 The dill aioli was a nice touch for the classic dill-salmon pairing, while fried onions added some delicate texture. 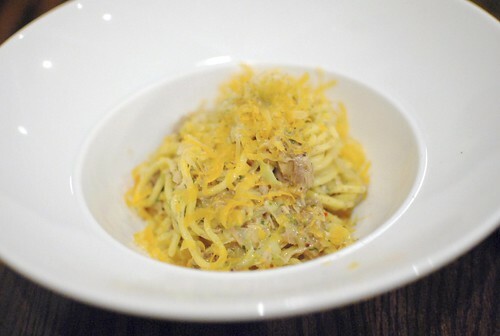 This was one of the appetizer specials – the pasta was cooked well with a warm, creamy filling from the celery root. 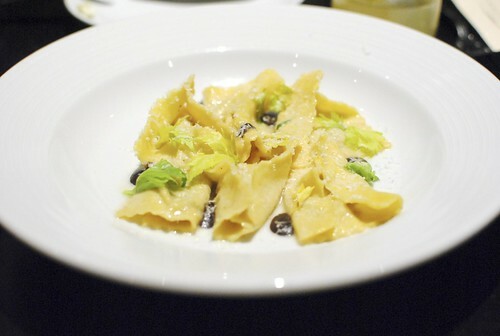 A light butter sauce complemented the pasta, but the black truffle flavor was fairly muted. 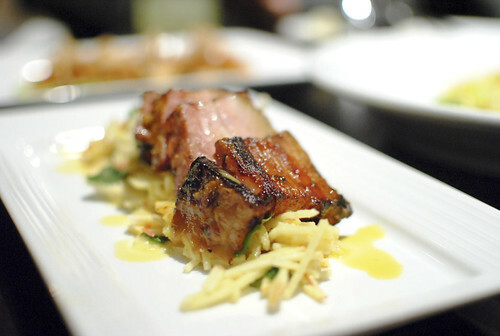 Fatty and meaty, the pork belly had a welcome crispiness to it and was quite flavorful. 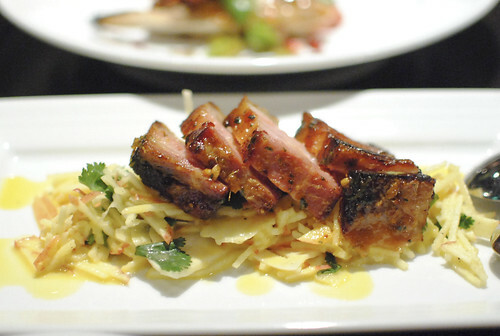 The accompanying slaw of apples, fennel and vinaigrette were cool and refreshing, and I thought they did a nice job of cutting through the richness of the belly. Given the relatively straightforward (safe?) nature of the menu, I was a little surprised to see this on the menu. 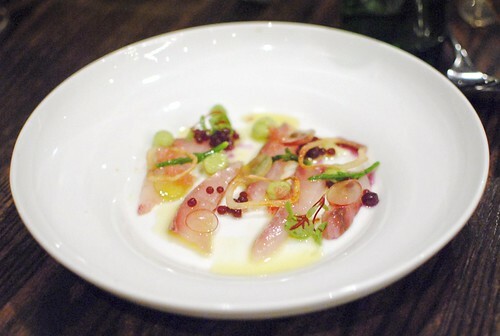 I liked the presentation with everything stacked on the hamachi collar. 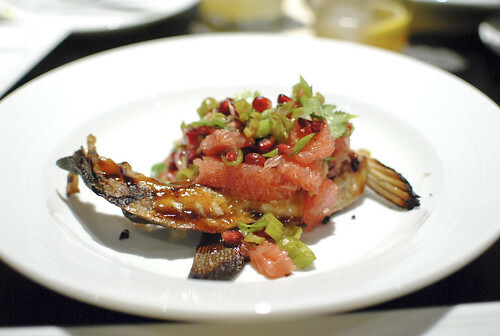 Lightly grilled, the smoky flavor definitely came through, while pomegranate and grapefruit helped to counter the smokiness and complement the fish. 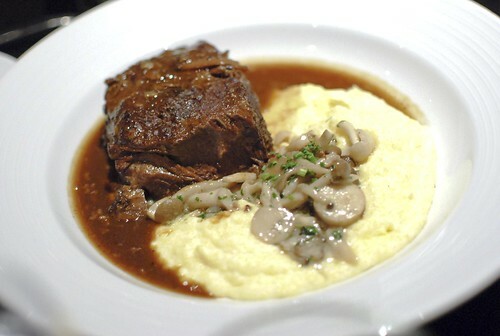 The big hunk of short rib was rich, beefy and tender while the polenta was nice and creamy. Nothing particularly special, but this was a homey and satisfying dish. Ah, what brought us in. I found the chicken to be good…but not as good as I remembered/expected. It wasn’t that moist (though not dry) but did have pretty good chicken flavor. The crust was flaky, but I thought there was more batter than I recalled from my prior tastes – slightly higher batter:meat ratio than I would’ve liked. The smashed potatoes were too thick for me, having an almost sticky consistency. 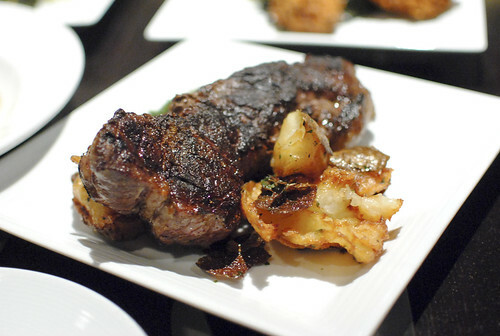 A couple of my favorite comfort foods on a plate – a hunk of crusty-seared steak cooked a perfect medium rare and some crispy, fluffy potatoes. This was probably my favorite entree as the steak was juicy and beefy, while the potatoes gave the texture and starch that I was looking for. Not unlike the spuds from Short Order, these potatoes appeared to have been baked/par-boiled, smashed and finally deep fried. Quite nice. On to desserts; we ordered four. 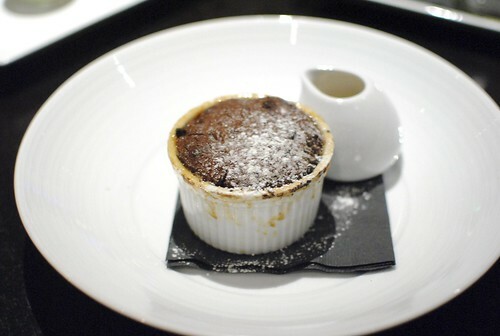 The server raved about this chocolate souffle, but I found it to be fairly standard. 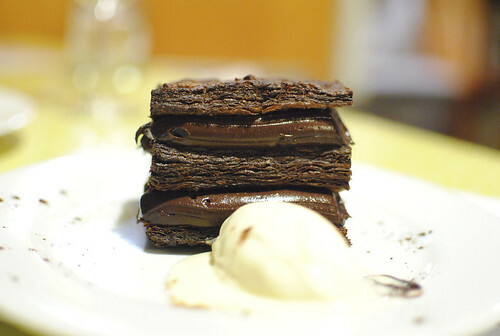 It was rich, fudgy and served hot, just not particularly memorable. 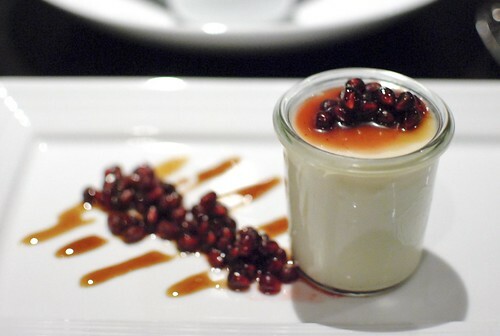 The panna cotta was light, creamy and sweet with a present vanilla flavor. I thought the pomegranate added some fresh fruit flavor, as well as texture from the seeds. 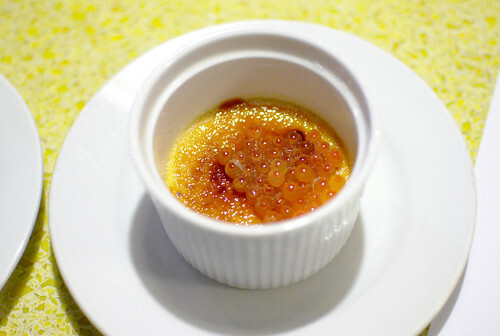 However, I’m personally not big on the seeds and I didn’t think they paired well with the delicate custard, texturally. 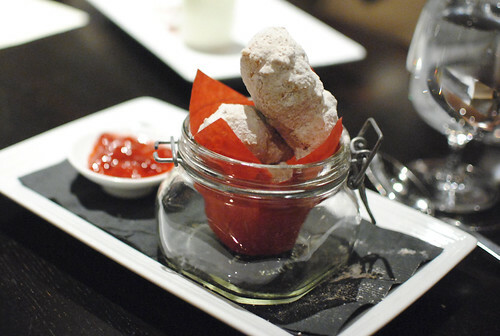 I was expecting these to be light and airy, but rather these were very dense and slightly chewy. Totally unexpected. Raspberry sauce added some sweetness and acidity. 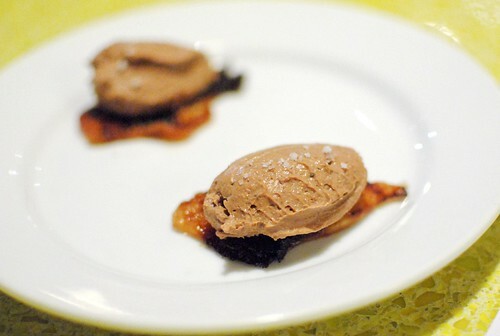 This may have been the best of the desserts with a double dose of banana flavor from the bread/cake and the ice cream. 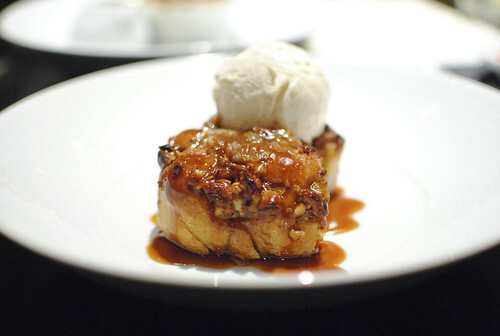 Served warm and soft, the bread exuded a buttery banana flavor, while the pecans and banana ice cream fit it well. 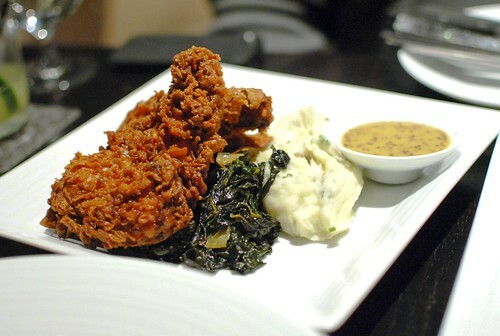 Lexington Social House exceeded expectations – the food was flavorful and fairly well-executed. 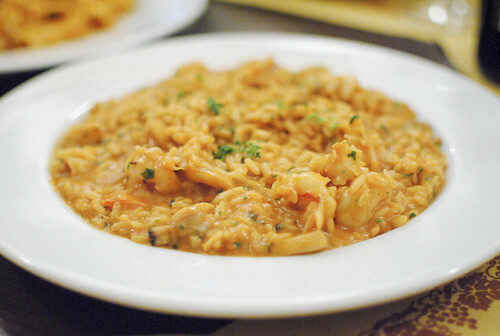 There was nothing particularly standout in the menu full of hearty, comforting dishes but it was a very satisfying meal. In a scene full of restaurants/lounges where food takes a backseat, Lexington presents a legitimate food option when in the area. 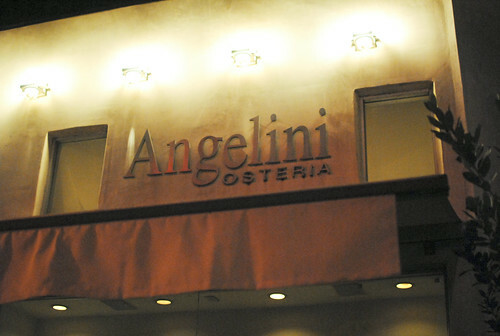 Angelini Osteria has been on my “want to try” list for years. I’ve gotten a taste of Gino Angelini’s rustic Italian cooking at various food festivals over the years and they’ve made a positive impression. For any number of reasons I never got a chance to visit the restaurant until now. 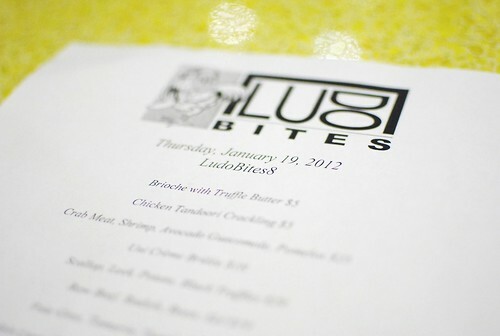 The menu is pretty extensive, offering a lot of options from salads to pastas, pizzas and entrees. There was even a separate “specials” page that listed another 40 items. Rather than get lost in all of the choices, we let Daniel (who has been here countless times) handle the ordering. We ended up with 4 smaller plates, 4 pastas/risotto and 3 entrees. 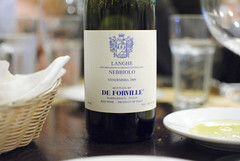 He was also kind enough to bring along two bottles of wine to go with dinner. The tripe was very tender, braised in a sweet tomato-based sauce. 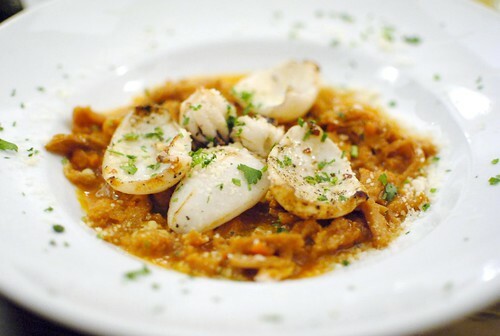 The cuttlefish had a slight chew to it, adding a little texture and fish flavor to the dish. Pretty nice. 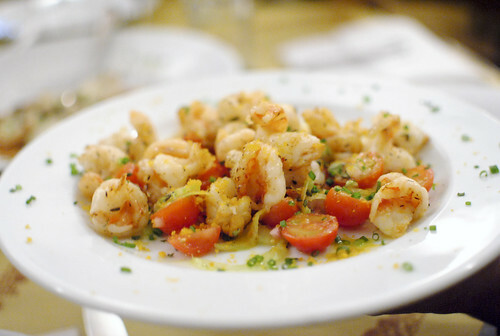 Warm, tender shrimp were brightened up by fresh tomato and onion. A refreshing dish, though I found it a little overly acidic. 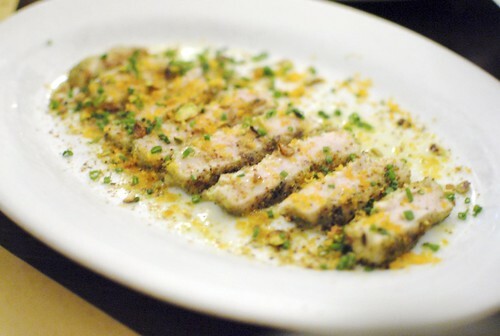 Pretty good meaty swordfish was complemented by a nutty pistachio flavor, which also added some crunch. 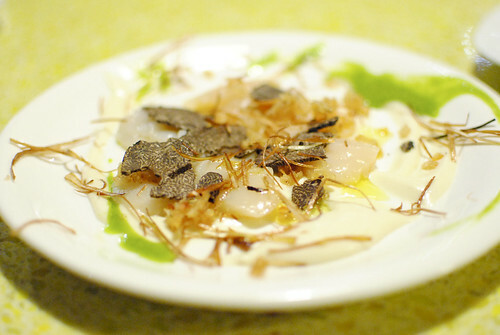 The bottarga was subtle, adding an extra fishy flavor. 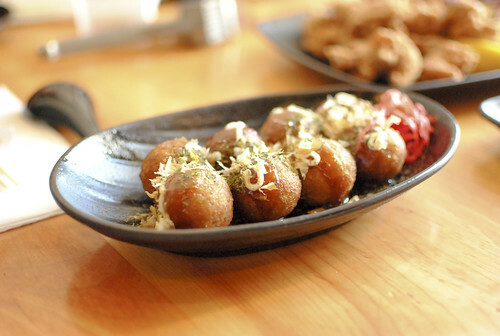 A rich dish, the sausage was pretty good, definitely having the minerality characteristic of the type. Some creamy potato purée completed the dish. 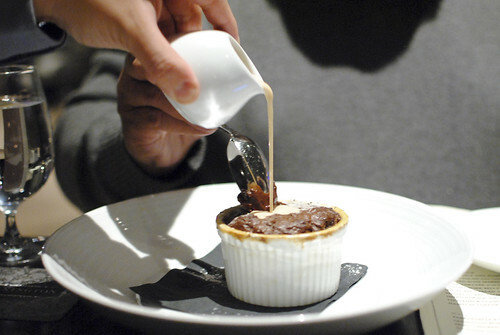 Warm, rich and comforting. I thought this was a really nice pasta. 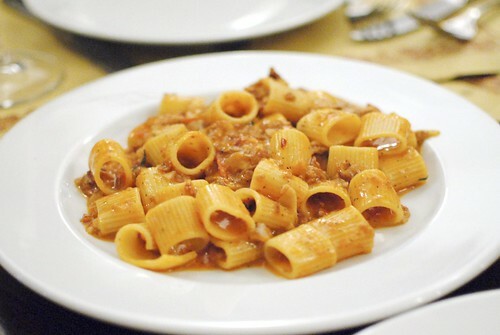 As expected, the pasta was cooked perfectly, covered in a rich and flavorful oxtail ragu. Hard to go wrong with those two components; some chanterelles were a nice touch too. Very nice. 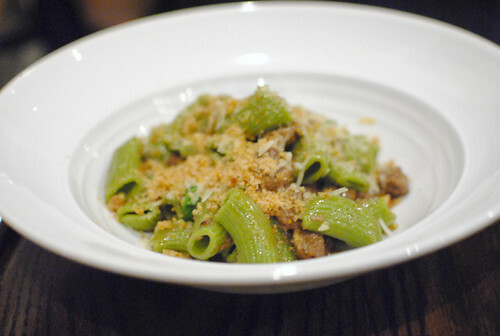 I loved the feel of the bombolotti, sort of a shorter, wider rigatoni. The guanciale (cured pork jowl) added a nice porky flavor, which went well with the sweet tomatoes and subtle heat. Pretty simple and pretty delicious. 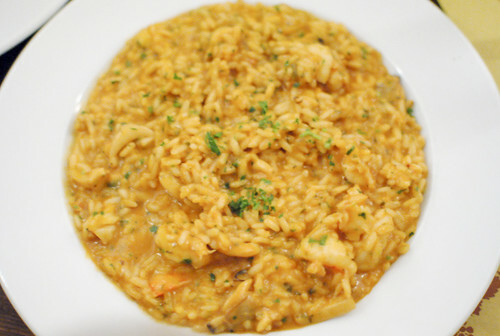 This was a good risotto, packed with seafood – just what I was looking for. I thought the rice was borderline undercooked though. This was probably the dish I was most looking forward to, and it definitely came through. Rich with a veal and beef ragu and a creamy cheesy bechamel sauce, this was simply delicious. 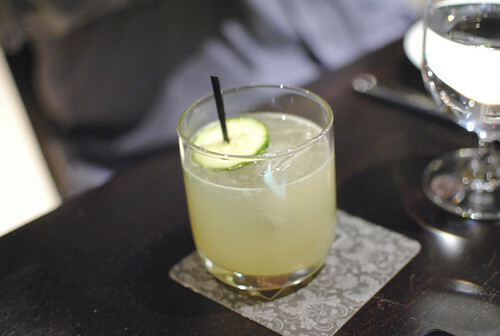 It was rich and full of flavor, without feeling overly heavy. 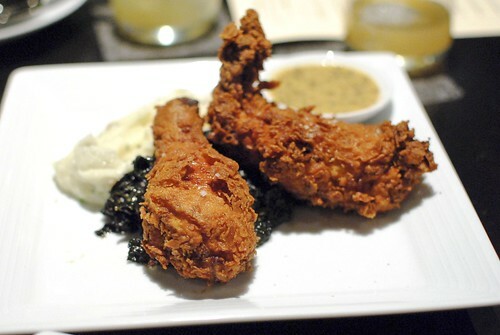 I liked the fried baby spinach largely for presentation purposes, though it did add just a slight crispy texture to the dish too. 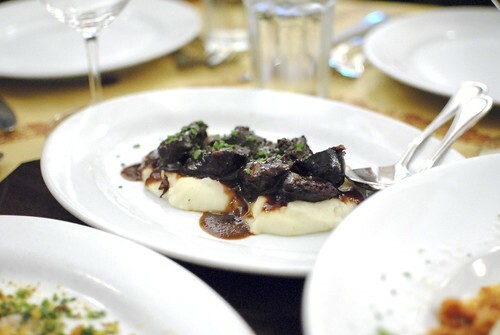 Very rustic and homey, this was my favorite dish of the night. We went with three entree-sized plates. The steak came out whole and was carved tableside. I was eagerly anticipating this steak but thought it fell disappointingly short. 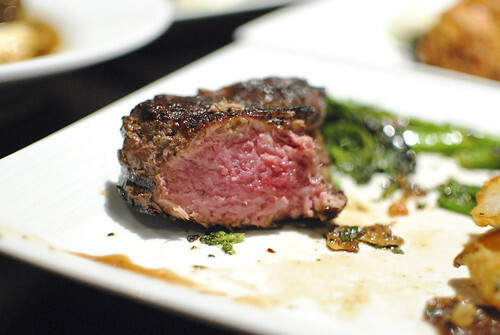 The steak was cooked a medium to medium-well (medium rare was requested) which largely ruined the piece of meat. It wasn’t particularly juicy nor flavorful. Crispy fried potatoes and spinach rounded out the dish – these were fine, albeit under-seasoned. 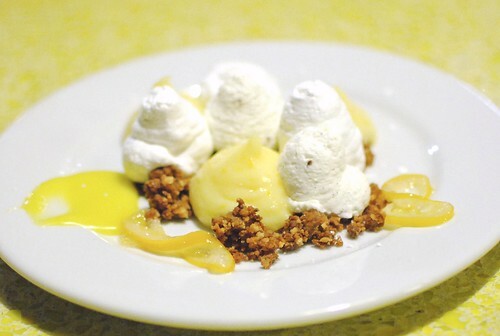 Impressive presentation, less than impressive execution – considering this was $75, it was a big miss. 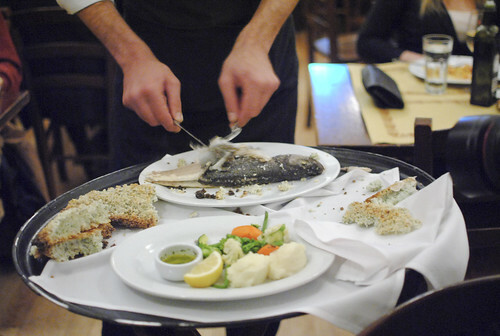 This was another entree with a tableside presentation – the salt-crusted branzino was brought out and then filleted in the dining room. 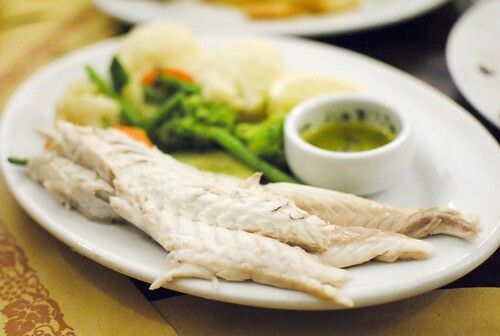 The fish was moist, mild in flavor, with some rather pedestrian mashed potatoes and sauteed vegetables. 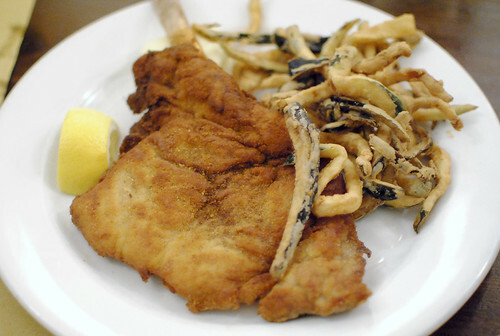 I thought this piece of veal was moist and flavorful with a light texture from the breading. 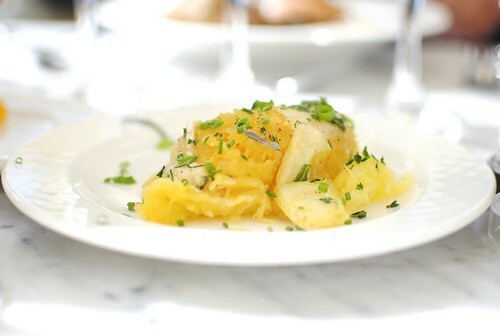 A squeeze of lemon was integral in providing a little bit of citrus and acidity to the dish, while the fried zucchini and eggplant were by far the best sides of any of the entrees we ordered. The entrees as a whole weren’t particularly notable and the steak was an expensive disappointment, but the starters and pastas were the clear stars of this meal. 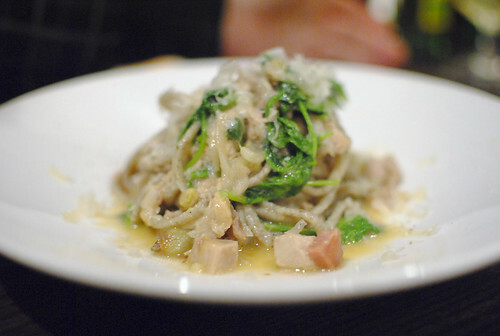 For me, highlights were the tripe with cuttlefish and all of the pastas. 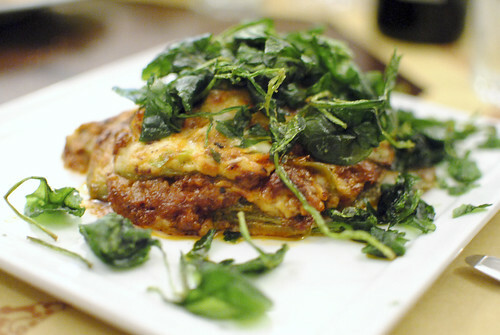 I enjoyed the pappardelle with oxtail, but the bombolotti and lasagna verde were outstanding. I’d come back for that lasagna alone. 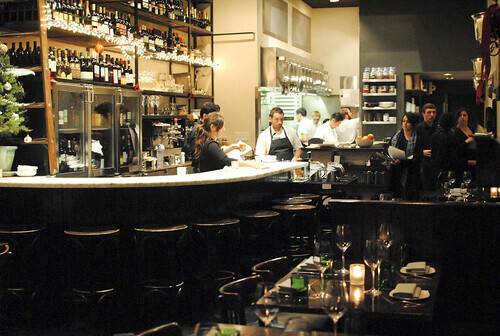 SPQR is a neighborhood restaurant in the Lower Pacific Heights area of San Francisco. 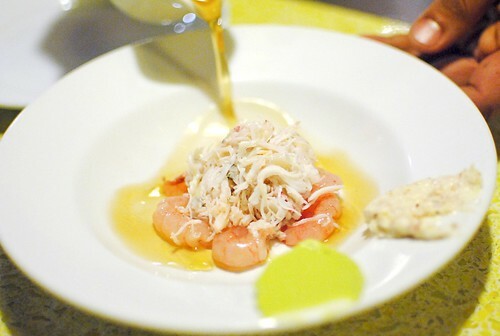 A sister restaurant to also-notable A16, the cuisine is “Italian-inspired;” that is, Italian food based on seasonal, local produce. 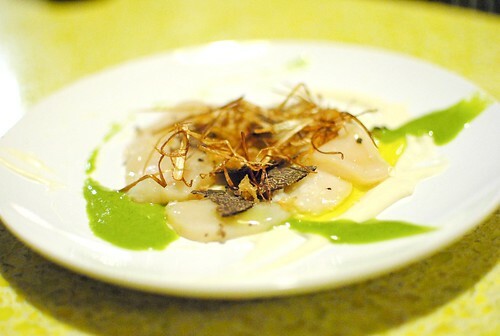 It’s sort of a merge of Italian and Californian cuisines. 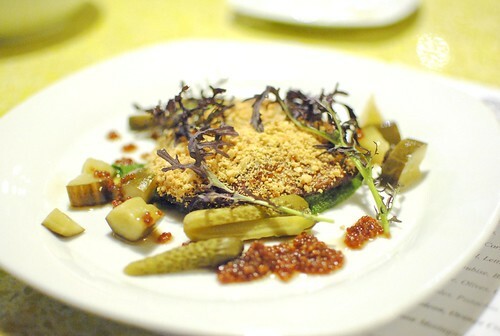 The chef is Matthew Accarrino, who left his chef de cuisine post at Craft Los Angeles in 2009 to take the helm at SPQR. 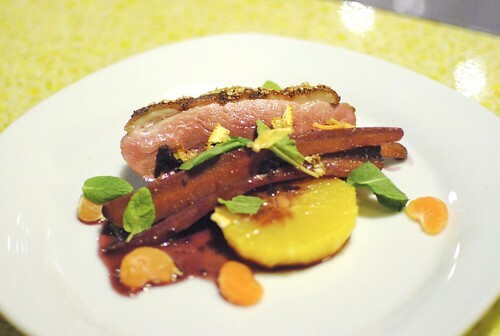 He has an impressive pedigree, having worked in the restaurants of Charlie Palmer, Rick Moonen, Thomas Keller, and of course Tom Colicchio. 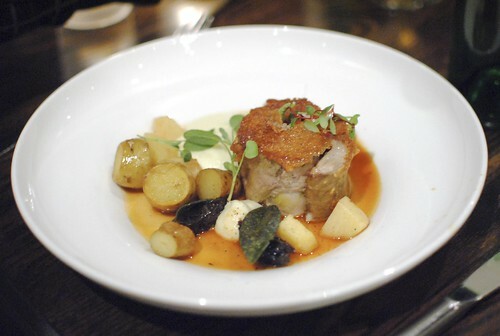 More recently, he won first place at the SF edition of the pork-centric Cochon 555 contest in June. This was my final evening in San Francisco. My flight was at 8:45, ample time for an early dinner, so we decided to squeeze in one last family meal here (they had an available 5:30 reservation). The restaurant’s been on my list for a while but I had yet to visit. Of the whole family, only my mother had been and she had a positive experience. We ordered two appetizers to share, a few pastas and two mains. The fish here was a little chewy, not as tender as expected. Mild flavors. Texturally, I thought the fried shallot rings were almost overwhelming in this dish. 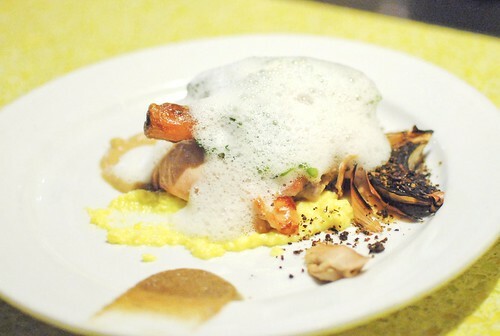 This dish was also texturally rich but in a more positive way. 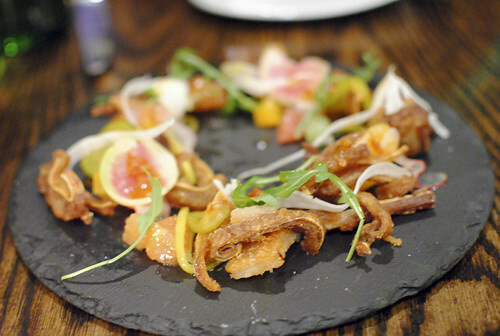 I enjoyed the chewy pig ears and the crispy pork belly, while the citrus (clementines!) 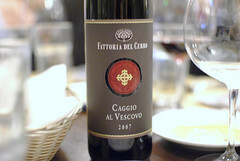 was integral in providing a fresh acidity to cut through the richness. The fruit and arugula did a really good job in balancing out this plate. I thought this was a good pasta. I liked the depth of the ragu, while the cheese added some extra richness. 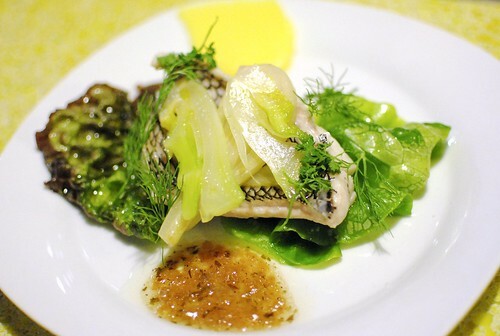 A good amount of savoy cabbage helped to lighten the dish a bit, and I thought the flavors worked well together. I didn’t get too much mustard flavor in the pasta though. I found this pasta to have a strong pork flavor (both from the suckling pig and bacon) with a rich heartiness from the cheese. 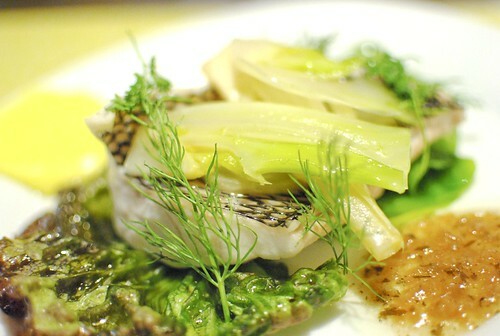 The rapini was key in adding a countering bitterness. I thought the soba-like buckwheat pasta was a fun change of pace. As expected, this was a very rich dish…maybe overly so. The sauce was rich and creamy with uni mixed into the sauce to add body and a fresh sea flavor, while bacon and egg added an even heartier flavor. I was slightly disappointed that there wasn’t really any smoke flavor in the pasta. 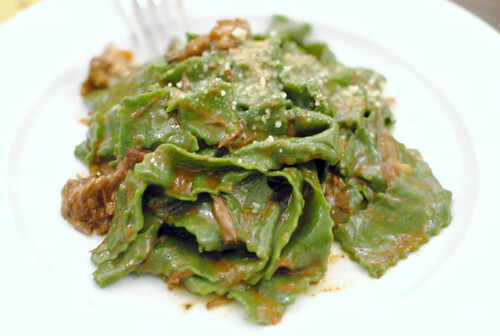 This was an excellent dish with a rich ragu and tender pieces of brisket scattered throughout. It had a wonderful savory depth of flavor, and wasn’t smothered in cheese like the other pastas. 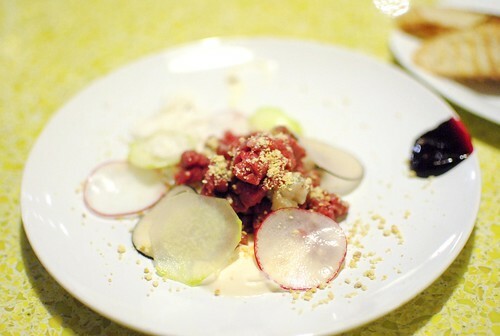 The breadcrumbs were a nice touch too, adding just a little bit of delicate texture. Pretty delish! 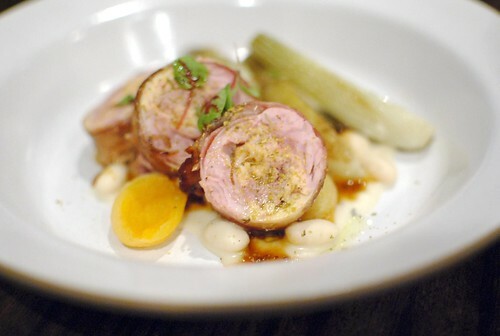 My brother went for this stuffed veal breast. I sneaked a bite, and found the stuffing to impart a really nice herbal flavor to the veal. The meat was cooked pretty well, too. 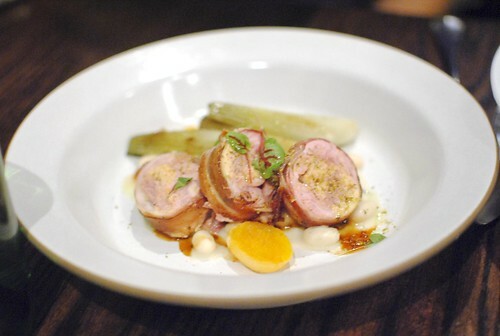 My dad opted for this rabbit saddle – beautifully plated, but unfortunately I thought the smokiness of the bacon overwhelmed the milder rabbit flavor. 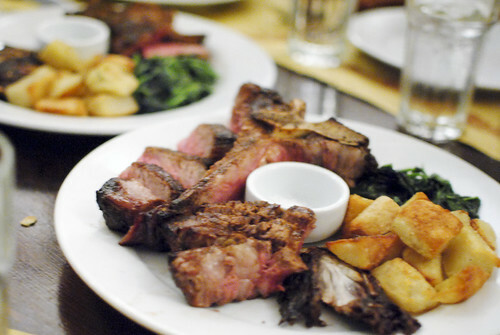 Still, the meat was quite juicy…no doubt in some way aided by the bacon fat. After the entrees and while pondering whether there was time for dessert, I got a text saying my flight was cancelled. Not delayed, cancelled. Dammit. It made the dessert decision much easier though. 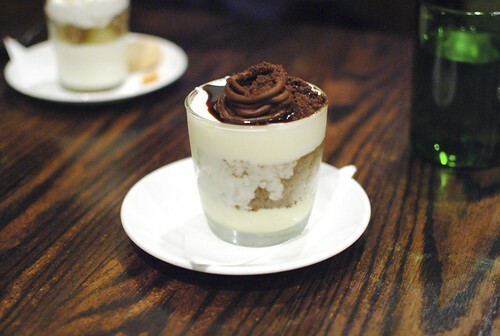 I liked the tiramisu but I like any decently made one. There was nothing that separated this one from others, but it was enjoyable. 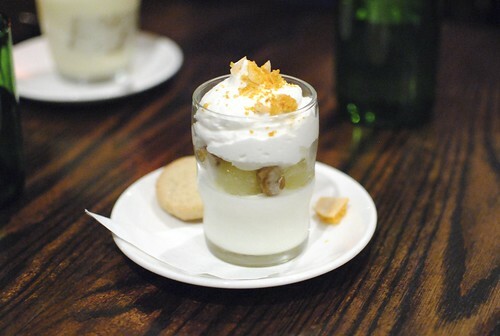 The panna cotta was creamy and sweet, fairly light. However, I thought the whole grapes totally overpowered whenever it was part of the spoonful. 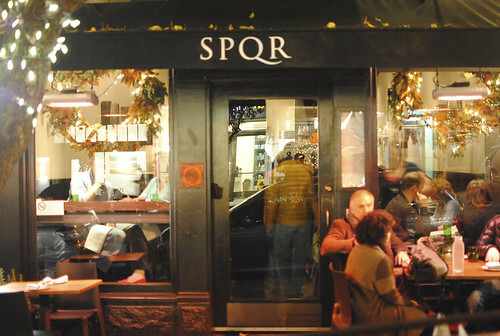 I thought SPQR was good, but there were a lot of small issues that prevented it from being great. 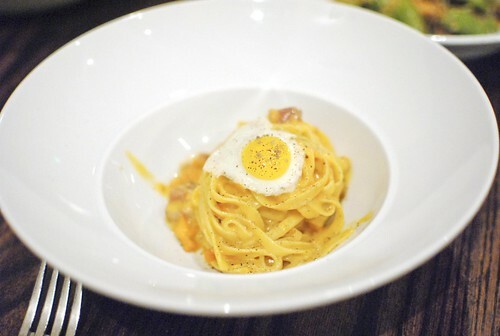 It may have been just what we ordered, but I found the pastas to be overly rich and cheesy. In all, the meal was somewhat unmemorable, perhaps partially because my tastebuds were spoiled from previous meals during the trip (Saison was the night before). Aside from the food, service was efficient and quite accommodating; the food was slightly expedited so that we could fit the meal in and get me to the airport on time.